Movie Ramble: Andy Warhol’s Bad. 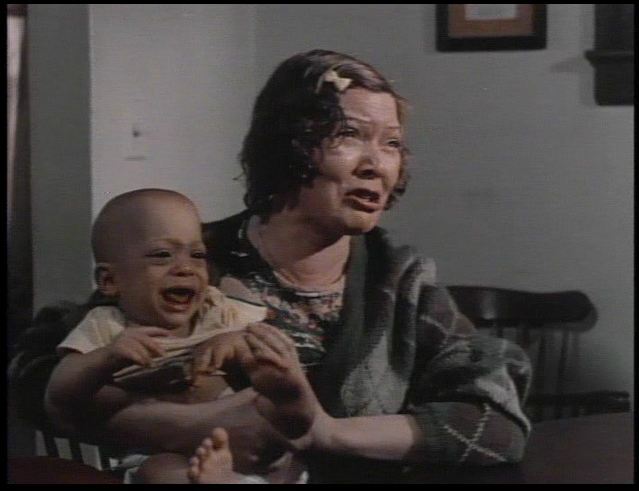 In Robin Bougie’s ‘adults only guide to history’s sickest and sexiest movies’ Cinema Sewer it describes the highlight of this film as being when a baby is chucked out of a high rise apartment block by its mother! What it doesn’t describe is that when the baby spatters on the walkway below it covers a female passer-by with blood and guts – all graphically shot in colour. And in another scene - just to piss of the animal lovers - a dog is stabbed because the woman living opposite the dogs owner, who had made fun of the woman because of her size, has paid to have the dog killed! Hazel makes hairy women more beautiful. As you can imagine this very black satire is not a movie that would suit everyone’s taste. What we have on the surface is a hardworking New York housewife Hazel Aiken (Carol Baker) who runs a facial hair removal business from her home. But because she is responsible for looking after a large collection of misfits, sorry relatives, she supplements her income by running a female hit squad who carry out killing other more morally upstanding killers won’t touch - such as babies, young autistic children and not forgetting dogs. But Hazel’s life isn’t all sweetness and light making hairy women more beautiful and managing her good-looking squad of young female assassins, she has to pay off the local detective and to make matters worse a good looking young male killer turns up on her doorstep looking for work. Unmarried mother Mary has just about had enough! 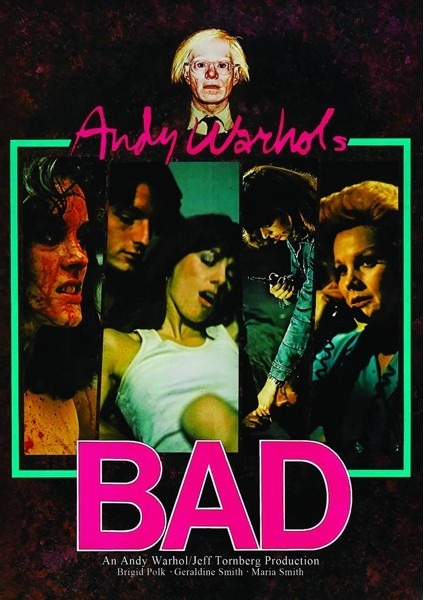 Andy Warhol’s Bad (1977) was the last film produced by Warhol before his death in 1987. It was made at his Factory Film Studio in New York City and was directed by Jed Johnson who was initially hired by Warhol to sweep floors at the studio. He became Andy’s live-in lover for twelve years and was killed in 1996 when TWA Flight 800 exploded shortly after take off killing all 230 passengers and crew. 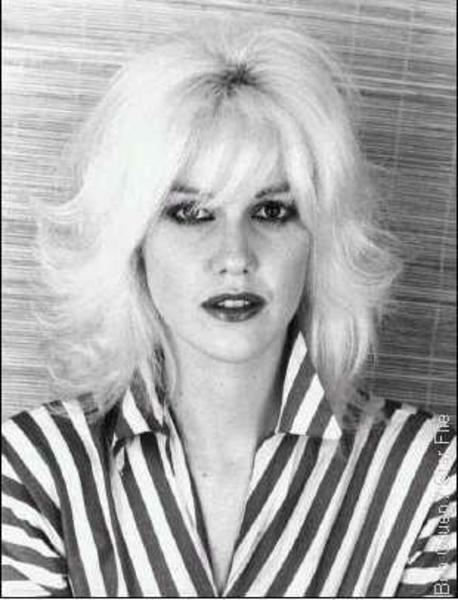 The film's cast includes not only Baker but Susan Tyrrell who won a Best Supporting Actress Award as Hazel Aiken’s sister-in-law Mary, Cyrinda Foxe as RC, Cyrinda who had an affair with David Bowie and appeared in his video The Jean Genie sadly had to rely on charity to find somewhere to stay when she was dying in 2002. The Italian actress Stefania Casini plays another of the female hit squad PG and those familiar with American TV will recognise LT the male member of the hit squad as Perry King. In a small part as the owner of the unfortunate canine we find Lawrence Tierney who has made a career out of playing mobsters including Joe Cabot in Reservoir Dogs (1992). Mike Bloomfield provided the music for the movie. LT introduces himself to PG. Cheezy Flicks is a company in Portland Oregon USA who have created a collection of films expressly for the promotion of some of the ‘cheeziest’ films released on DVD. To meet this criterion a movie has to be a terrible B-Movie, a classic horror, sci-fi, sword and sandal or possible a euro-trash classic typically involving things like horrible acting, an abysmal story line, and the worst set props possible. I do not think that Andy Warhol’s Bad actually qualifies under these criteria but would like to thank the company for giving us the opportunity to enjoy such rare movies.